Neighbours. Everybody needs good neighbours…or so they say on Ramsey St.
And it’s no different here on Bermondsey St, with the latest addition to the already thriving foodie neighbourhood (Zucca and The Garrison are both on the same street) – we welcome José; a Sherry and Tapas bar co-owned by ex Brindisia Spanish chef José Pizarro and Hervé Durochat, formerly of Hakkasan and the Soho House Group. Living in the neighbourhood, it’s difficult not to notice the pre-opening buzz coming out of this cosy 30-seat eatery reminiscent of the tapas bars in Barcelona’s La Boqueria markets en route home for the past week. And so, despite already having made lunch plans, I lured a friend to come meet me for a quick bite before my lunch, Spanish style! The food menu is concise with the usual suspects like Tortilla, Patatas Bravas and Jamon Ibérico, but there’s also a daily changing market-menu (the specials), dependent on whatever is fresh at the market that morning. But when the charming Spaniard himself came over to offer us a glass of vino on the house and have a quick chat – we happily obliged and ordered the special of grilled sardines (£5), and pork neck (£8), served medium rare instead. Both were incredibly tasty, simply cooked with a drizzle of olive oil, yet perfectly seasoned. 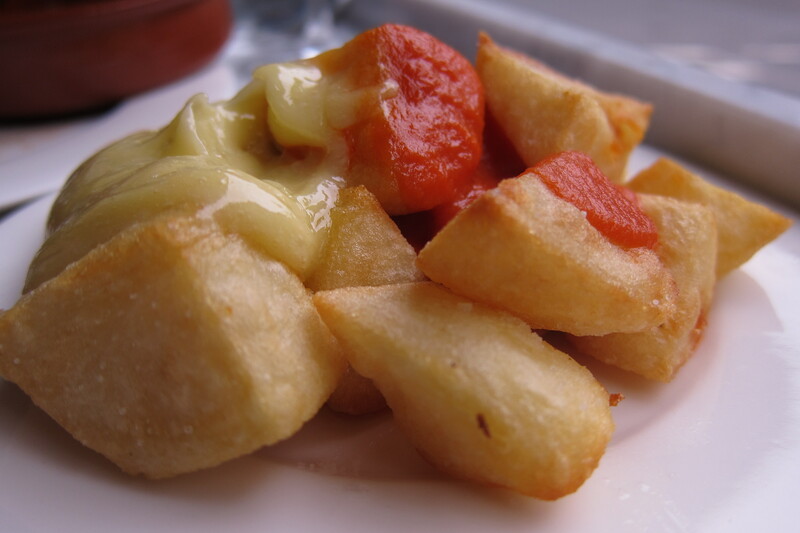 The Patatas Bravas (£2.50) were quite possibly the best I’ve had – certainly in London anyway. Crispy on the outside and gorgeously fluffy on the inside, served with a fresh, heavenly dollop of aioli on top. The Jamon Ibérico croquettes were good, but at £6 for some pequeñas bolas, I could have easily gone without, but the Tomato bread (£3.50)…Delish! Another helping would have been on order if I didn’t have to run. Rushed for time, I didn’t get a chance to eat my way through the menu, but with Jose in full view from my window, this is one neighbour I’ll definitely be getting better acquainted with, and perhaps offer a cup of sugar in exchange for a leg of the Jamon?! José Pizarro has already hinted about plans to open another, full-sized restaurant in the local area later this year – simply named “Pizarro”. SE1’ers, we’re in for a treat! NEWS FLASH!! “Pizarro” set to open on the premises of the Bermondsey Street Kitchen as of October 2011. The food will be highly seasonal with inspiration taken from all over Spain, and the 80-seater space will also feature London’s first Cava Bar. Tapas is usually drenched in oil, but these fresh and top quality ingredients were kept light so the real flavours could speak for the chefs – great food! 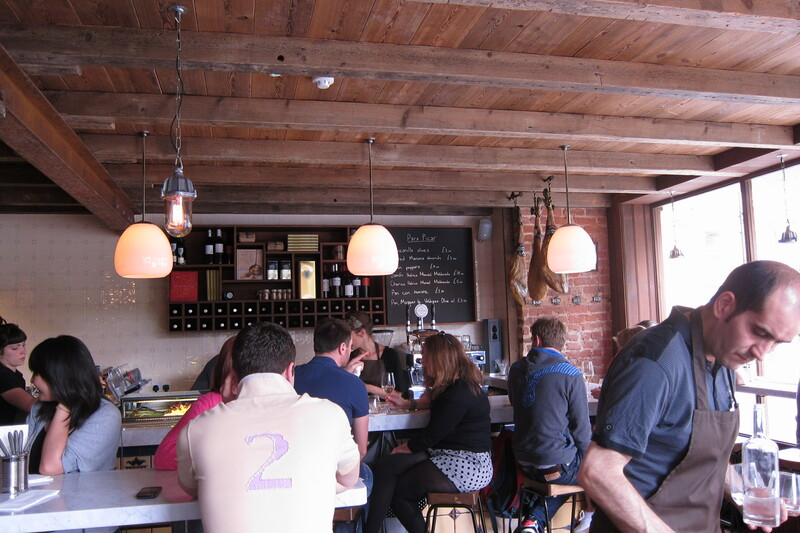 Thanks for the review, it looks so great with very happy hordes of diners, can’t wait for a chance to try it out. Is it true that we could get another branch further down Bermondsey St too? You should definitely get down there. The atmosphere is great, and the menu is clean, fresh from whatever is available at the market that day, and extremely tasty. 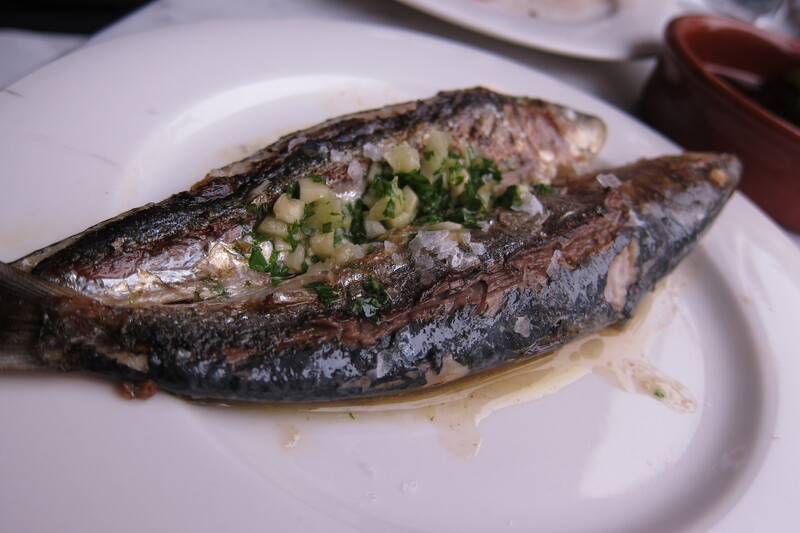 Yes – Jose Pizarro is opening up “Pizarro” at the Bermondsey Kitchen site in October.